I am a tried and true fan of NOVICA, the online marketplace for handmade home decor, jewelry, apparel and unique gifts from around the world...all fair trade!What woman does not like to receive jewelry? NOVICA carries a collection of more than 7,000 pieces of exquisite silver jewelry. You will find it hard to make a decision on what to buy! Don't fret though because the Unique Gifts section makes it simple to shop for that special someone. You can narrow your search by price, category, and even special occasions like an anniversary. items you will hold in your hands." NOVICA Live lets you host a show or be a consultant while contributing to the livelihood of artisans worldwide. Think of it as being a domestic ambassador for world's largest bazaar! Win It: NOVICA has provided a $50 gift code to one Marlie and Me reader! Thanks NOVICA! Mandatory first entry: Visit NOVICA. Leave a comment here with one thing you'd buy if you won. By accepting the prize, the winner is granting permission to be identified as such. 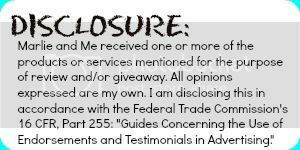 The winner has one (1) month from the date of claiming the prize to report any problems (lost shipment, broken product, invalid gift code). I will not be responsible for resolving issues after this time. 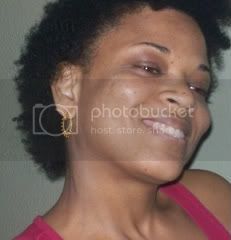 In the event the prize is not claimed in the allotted time another winner will be chosen. Giveaway is open worldwide (where NOVICA ships). Must be at least 18 years of age to participate. Void where prohibited. I would get the Mystical Petal necklace. I love the Cotton sundress, 'Rose Passion' under Women's Dresses. I'm a fan on Face. I follow Marlie and Me. I voted for Marlie and Me at picket fence blogs. I would put it toward the gorgeous Cotton wraparound dress, 'Sassy Turquoise'. Thank you for this giveaway! I might put it towards the Sculpture - Pensive Woman. I really like the brooch called Tiger Lily. I like the silver dangle earrings "ethnic chic." I would like to get the Cotton hobo bag, 'Chiang Mai Puzzle'. I like the Pearl Torsade Necklace, 'Party Balloons'. I'd get a set of Andean panpipes. I would buy the Gold plated rose quartz dangle earrings, 'Empress'. I like the constellation peridot earrings.Thanks for the chance. I like the kashmiri chain-stitched rugs. I like Novica on Facebook (username: Les Cerises). I follow Novica on twitter (username: @whitechocolatec). I think I'd get the Cotton Blouse - Grace if I won. Thanks! At the Novica website, I would purchase the Auto Part Sculpture "Fisherman's Luck", Product ID: 170180. I am a fan of Novica on Facebook. I am following Novica on Twitter. I like the Lapis lazuli pendant necklace, 'Blue Pompoms' by Sissi Bernal. Voted for Marlie and Me at Picket Fence Blogs. I like the Alpaca wool sweater 'Charisma' in its various colors. Oh my goodness, it would be so hard to decide! I really liked the Sterling silver dangle earrings, 'Thai Spark' - hope I win! If lucky enough to win, I would HAVE to have the Tiger's Eye Waterfall Necklace, 'Chestnut Shower'! Absolutely STUNNING!! I subscribe to Marlie and Me via email. 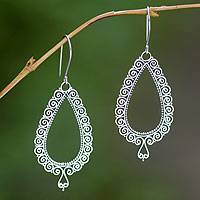 I would like to buy the Sterling silver hoop earrings, 'Lavish Bali' from Novica. I would get the Lacquered bamboo boxes, 'Inherent' (set of 3). These are pricey but I love them! If I won I'd buy the Sterling silver pendant necklace, 'Chinese Zodiac Rabbit'! SO CUTE! I follow Novica on twitter as @luckysluna. They have such beautiful, unique home decor items. I'd like to get the 'Palace Window' Mirror. I follow you and tweeted. Thank you! Sterling silver domed ring, 'Treasure Chest . I now following Marlie and Me. I like Novica on Facebook (Sarah Smile). I follow Novica on Twitter (mail4rosey).